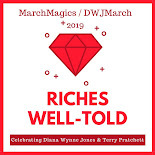 Today, I'm pleased to share with you a guest post from Lory of The Emerald City Book Review, host of the Witch Week event in October/November and a true fan of both Diana Wynne Jones and Terry Pratchett. She is here to remind us of the power of fiction and fantasy. Thank you, Lory! In an age of conflict, confusion, and uncertainty, it’s natural to reach for facts and verifiable truths to give a sense of firm ground. We might be forgiven for setting aside fantasy literature as a form of escapism, fine for comfort reading but basically irrelevant to the tasks that face us in the “real” world. An event like March Magics — which celebrates master fantasy authors Diana Wynne Jones and Terry Pratchett — might be seen as a fluffy distraction from the more important tasks on which we ought to be spending our time. I feel that this would be a huge mistake. Our current crises stem from a failure of the imagination, which alone can bridge the gap between self and other and enable us to work out of love and empathy rather than narrow self-interest. Only through the imagination can we first conceive and then create a better future. And while undisciplined, wild fantasizing can lead us astray, it’s the truths of the imagination that can guide us through a world that seems to be splitting into a million alternative realities. All fiction exercises our imagination, but in fantasy this aspect is brought to the fore, is made into the very substance of the story itself. Maybe that’s why fantasy has long gotten little respect in a society that primarily values materialistic success, and that in turn may be why we now seem so little versed in the ability to see through the delusions that are flying so freely. Whatever the reason, it’s all the more reason to read and learn from the works of these two authors right now, and to share them with others in your life. 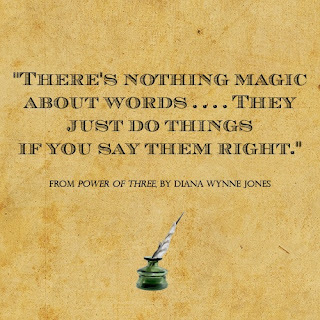 I have the very great pleasure of reading out loud every night to my ten-year-old son, and I’m delighted that he’s decided that Diana Wynne Jones is one of his favorite authors. As we work our way through her books, I’m struck by how much they offer as a counterbalance to the negative forces at work today. With these stories as part of his being, I have hope that my son’s imagination will grow strong and healthy to meet the enormous challenges in store for the next generations. And I myself appreciate them as nourishment for my own fight to preserve a world that he can grow up in. Here are three books that strike me as particularly relevant at the moment. As you read your way through this month, I hope that you will share your own thoughts and insights with us. Witch Week is part of the “Chrestomanci” sequence, which Kristen has chosen to focus on this year. Thus it features the idea of alternative worlds, split off from decisive moments in history, which forms the basis of that set of books. 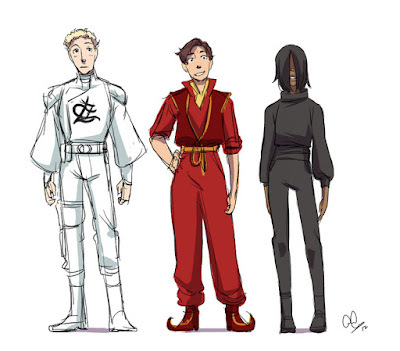 It also features an appearance by Chrestomanci (Christopher Chant), though not at such length as in some of the other titles in the series. But none of this is apparent at the start. Instead, what we are presented with at first is a “realistic” setting: a boarding school with a rather ordinary population of cliquish students, bullies, loners, and clueless teachers. However, it soon becomes clear that there is one very important difference from our world ­— here, witchcraft is both real and illegal, punishable by death. The descriptions of witch hunts and burnings, while not emphasized to the point of horror, are quite chilling for those of us who know how easily our society can turn on elements found to be unacceptable. This is something that we must be vigilant about today. It also becomes clear how the repression of power produces negatively charged energy that will tend to explode if not moved into more positive channels. At the end this is accomplished through the very power of imagination and storytelling that I mentioned at the start of this post, showing how these essential human abilities can truly change the world. I wrote at more length about Witch Week here, and even named a blog event after it. It’s a book that I’ve read many times but that always makes me think, never more so than now. This is another book I’ve read many times and even blogged about twice; here is my original review, and here is the guest post that Kristen wrote at my request for the first Witch Week event. It’s the book I’m reading right now to my son, and as we go deeper into the world of the three groups living on the Moor — the pale, shape-shifting Dorig, the loud, clumsy Giants, and the mound-dwellers who define themselves as the only real “people” — he already wants to know: do they become friends? I’m not telling him, but I can see he’s already been set up by other reading to expect that initial conflicts and misunderstandings have the potential to be transcended and transformed, and that this is a common resolution in fiction. The real world is unfortunately not so neatly and easily managed, and such a resolution can seem impossibly far away — yet I believe this hope is important to hang on to. With a mere shift in perspective, the utterly alien Other may become a friend, may be shown indeed to be an essential part of the whole framework of our life. Making that shift involves a sacrifice, which again can feel impossible when we think it needs to come from the outside. But inner strength may accomplish what outer force cannot. Within its exciting and never didactic narrative, I find Power of Three to embody one of most important messages we can give a child today, one that we need to constantly remind ourselves of in adulthood. 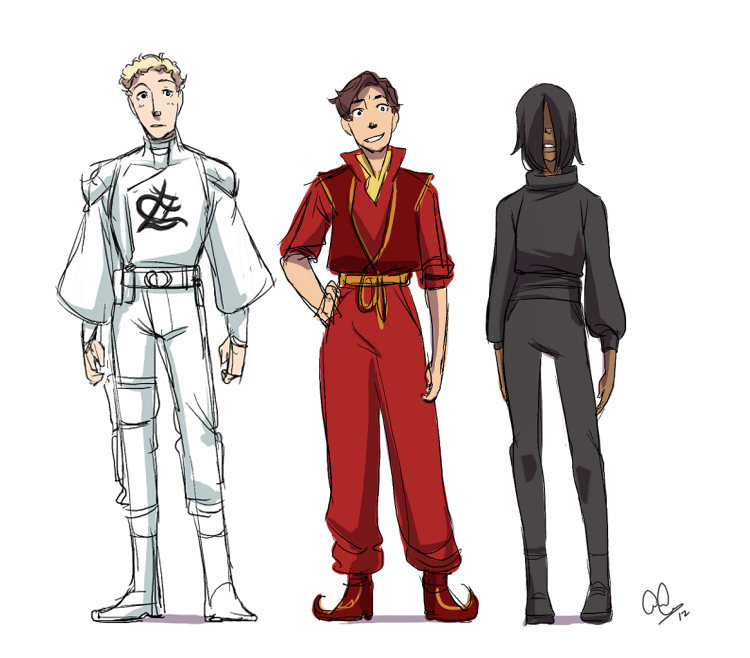 This standalone novel, like the Chrestomanci books, plays with the idea of a multiplicity of worlds, but adds the element of Them, mysterious figures who play with events and people in the various worlds as if they were giant boards and game pieces. Most people are unaware of this activity, but those who do see Them and perceive what They are doing become “discards,” wanderers who cannot enter play in any world. Jamie, a boy from our world, becomes one of these, and as we follow his journeys we learn more about his seemingly inescapable situation, and the narrow margin of possibility that might lead to freedom for him and others. As we start to wake up to some of the hidden forces and entities that are trying to play games with our lives, using us as if we were mere objects, this story feels ever less fantastic. Once we become aware of such activity it can be paralyzing and make us feel hopeless. Finding hope in a hopeless situation is part of what drives the narrative in The Homeward Bounders, as in our own lives — but ironically, hope turns out to have another side. It can help us move forward, but it can also keep us back. Jamie must find a way to use this paradoxical truth to break the hold of Them over the worlds. Like Power of Three (and also Witch Week, come to think of it), this book ends with a sacrifice. It’s a sobering conclusion, showing us the terrible cost of confronting and counteracting the ruling powers. And yet, it must be done, as Jamie bravely acknowledges. As we move beyond the realm of hope, may we find our own strength and courage to enable us to do what must be done, in the service of all worlds and all people who wish to become truly free. Thank you, Lory! I love all of these, but I do have a particular fondness for Homeward Bounders. Imagination doesn’t just mean making things up. It means thinking things through, solving them, or hoping to do so, and being just distant enough to be able to laugh at things that are normally painful. Head teachers would call this escapism, but they would be entirely wrong. I would call fantasy the most serious, and the most useful, branch of writing there is. And this is why I don’t, and never would, write Real Books. The one I was looking for specifically addresses the fashion for utter realism for children in the early 20th century, which claimed that fantasy was harmful. DWJ’s own mother was something of a victim of this, with the result (DWJ felt) that her generation had a hard time dealing with the monstrous events of the 40s, because their avenue to empathy and imagination had been partially blockaded. I’ll try to find it. There’s a mention of Batman…. I definitely remember a realism quote. I think it might have been when she was talking about why her parents wouldn't allow fantasy books in the house? I always clutch my heart when I'm thinking about the end of Homeward Bounders. I also love it for Joris -- he's maybe my favorite-ever Diana Wynne Jones character. At least in my top three. JORIS. Dang it. I want to reread this one NOW but I am reading all of the everything else already. I'm going to have to read faster to make time, I guess. Also, that adorable cartoon of the characters is wrong. Joris has black hair, in that black Irish style. I'm just sayin.